I have dabbled in lots of crafts including embroidery, cross stitch, folk art, stamping, scrapbooking and patchwork over the years. I was crusing around Pinterest the other day (don’t you just love it!! I am addicted!!) and found a card that looks like a wedding ring quilt!! 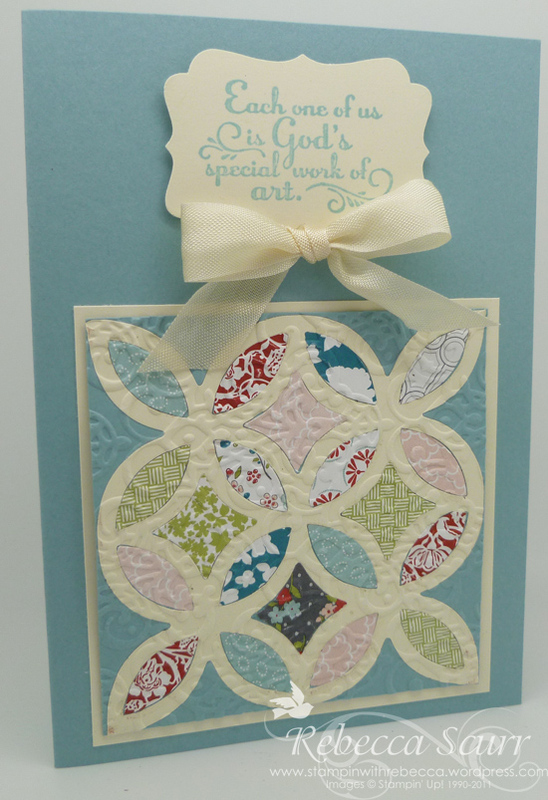 Turns out this gorgeous card was featured on Mary Fish’s blog, Stampin’ Pretty, which I also love. The card was made by Ellen Smallwood. I recently purchased the lattice die and this is a great way to showcase it! Here’s my version of Ellen’s card. Here’s a close up of the “wedding ring quilt”. 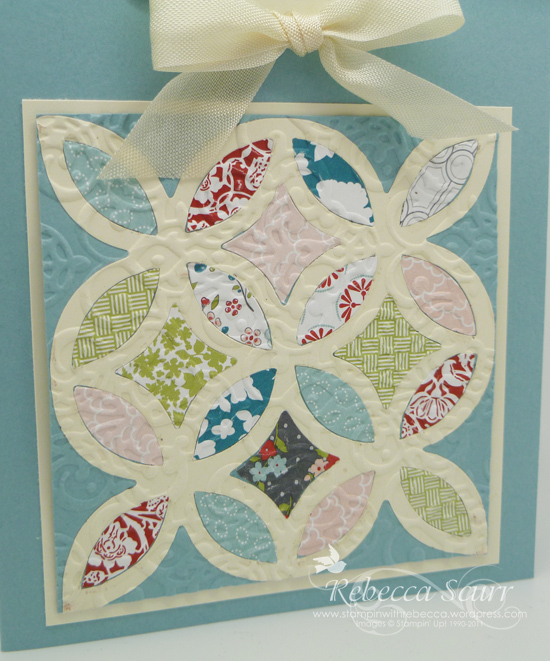 I have “quilted” it with the new Lacy Brocade embossing folder from the Holiday catalogue. « 21 September 2012 – It’s time to start getting ready for Christmas! !